Presented is a way to measure when your driving is distracted enough to be of concern to you and others. Holding a microphone is fine, but other aspects of our mobile radios deserve scrutiny. The post Guidelines on what constitutes distracted driving appeared first on Ham Radio . Magnum Experimentum. 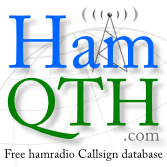 The post Effect of shields on ferrites appeared first on Ham Radio . Magnum Experimentum.